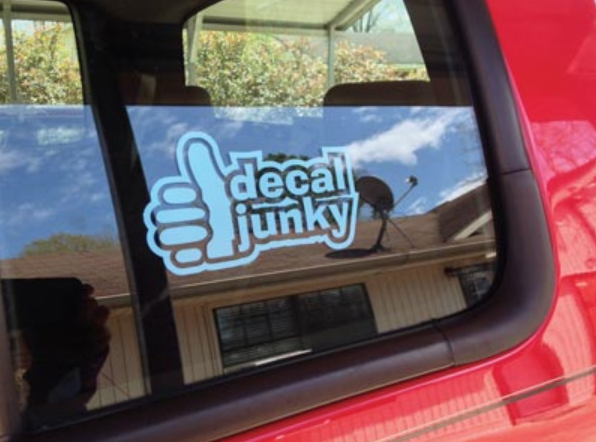 Watch our quick video tutorial and learn how to apply your vinyl decals. 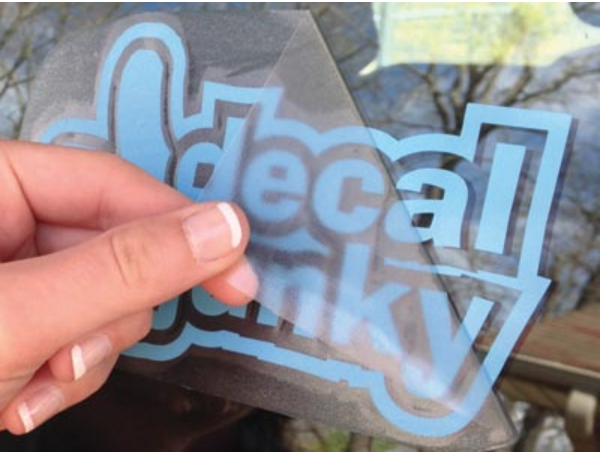 Our decals are easy to apply, just peel and stick on a clean dry surface. Please read the written decal application instructions below before attempting to apply the decals. Decals applied using these instructions will last for years. They are made using weatherproof sign vinyl that can be applied indoors and outdoors. 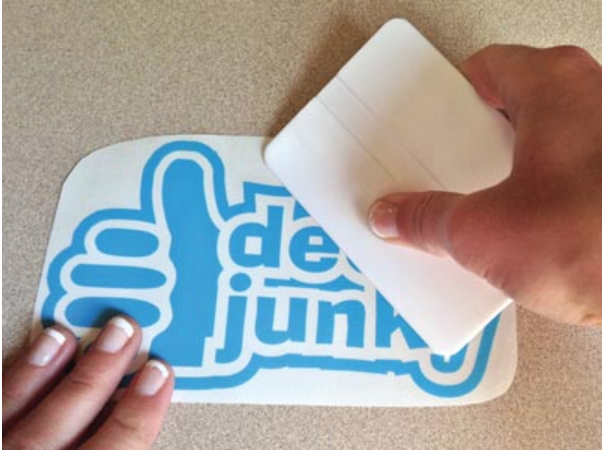 Your decal will arrive sandwiched between a clear application tape and a paper backing. 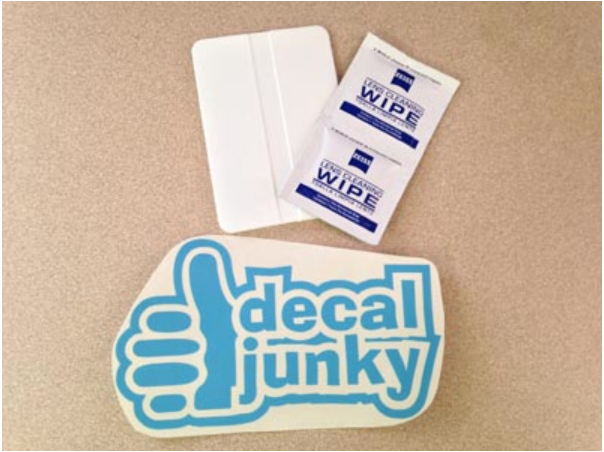 If you purchased a decal application tool kit, that will be included as well. After the application process is complete, your decal will have a “painted on” look. The decals are cut using a sign grade vinyl that is durable and designed to withstand the elements. The decals will hold up well in an automatic car wash. If you use the pressure spray car wash do not apply a lot of pressure directly on the decal. The decals will not adhere to a surface that has been waxed but can accept wax after application. The decals can also accept a clear coat if needed. Use a squeegee or the shape edge of a credit card and press the decal firmly on the surface. It may help to leave the decal on the surface for several minutes before you try to remove the application tape. Peel the application tape away at an angle (see the photo in Step 7 above.) If some pieces don't adhere and start to come off with the transfer tape, push the application tape with the pieces back down on the surface and apply more pressure to the area, then continue removing the transfer tape. I need to remove my decal. How to remove a decal on a window. 1. Clean the decal or sticker and the area surrounding it. To clean the decals or stickers, you can use warm soapy water and a cleaning cloth. Clean the area around the decal or sticker properly where you want to remove so that no grit or grime interferes with decal’s adhesive-busting ability. 2. Warm it up. Using a hot hairdryer or heat gun this will help make the vinyl more flexible and help release the adhesive making removal easier. 3. Scrape up under the window sticker. 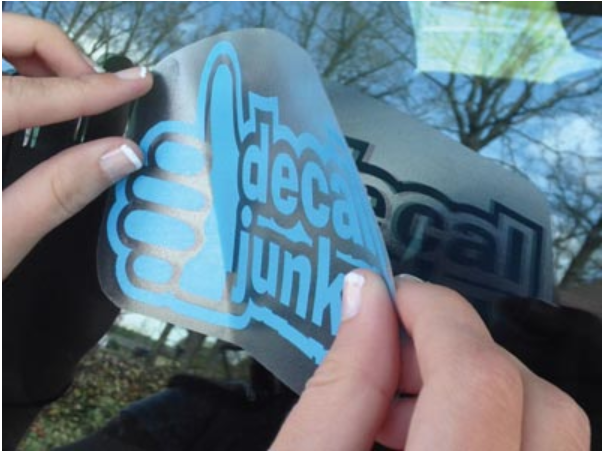 When the decal or sticker is heated up, you can scrape up under the sticker with a flat edge razor blade or plastic scraper tool at an angle and begin to peel it away. Do not use a razor blade on painted surfaces. 4. 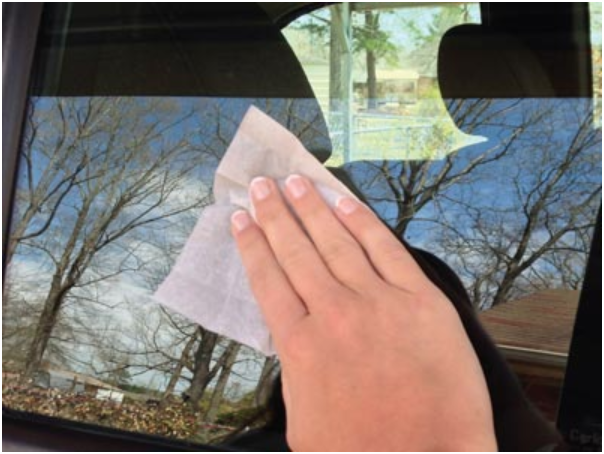 If there is adhesive residue left, you can use window cleaner, soapy water or an adhesive remover from your local automotive or discount store. Please read all warnings and instructions carefully. Some adhesive removers can damage plastic and painted surfaces. How to remove a decal from a painted surface such as the body of your vehicle. 3. Scrape up under the window sticker. 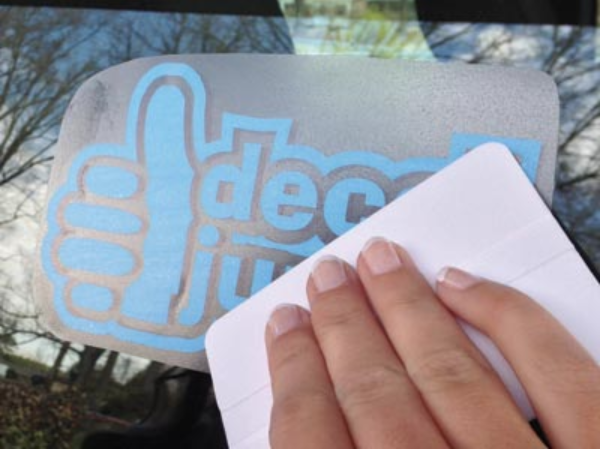 When the decal or sticker is heated up, you can scrape up under the sticker using a plastic scraper tool while holding at an angle and begin to peel it away. Do not use a razor blade on painted surfaces. Once the vinyl is heated it becomes more supple and can be peeled off.